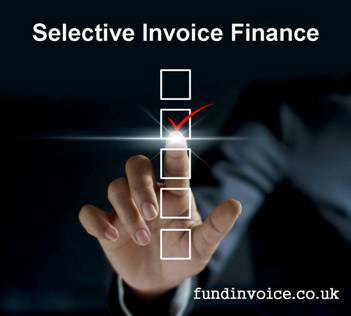 Selective invoice finance for new starts can be the most flexible option when you first launch you new start businesses. When you launch your new start you are always going to be uncertain that it will take off and that you will achieve the level of turnover that you hope for, but you may still want the benefit of funding against your invoices before they are paid, to improve your cash flow. Therefore, you won't want to have the obligation of a minimum fee that can sometimes come with using invoice finance. These are two recent examples of new starts that needed invoice financing but didn't want to be locked into having to pay any minimum fees. Although the new IT hardware supply business was expecting to turnover c. £500K + VAT in its first year, they didn't want the pressure of having to meet a monthly or annual minimum fee, however they still needed to get finance against their invoices to unlock that cash before their customers paid. Therefore, we found them a selective facility without any minimums to worry about. If they grow they can always reconsider their options at some point in the future. This business worked within the care home sector, primarily supplying temporary care staff via RPO organisations. These can come with their own funding issues, as I have covered in previous posts about RPO funding, but in this case the key issue was that the client had already spoken to a few invoice finance companies and had been told that they would need to pay minimum fees in all cases. Whilst they were projecting £600K + VAT they were not willing to commit to the minimum fees that would reflect that level of turnover. However, once again they needed to have the benefit of immediate part payment against their sales invoices as they raised them. The solution was similar once again. We introduced them to a selective invoice finance company that will allow them to pick and choose which invoices they receive funding against. There are no minimum fees attached to the arrangement and they could choose never to use it again if they wished. This gives them the ultimate flexibility.